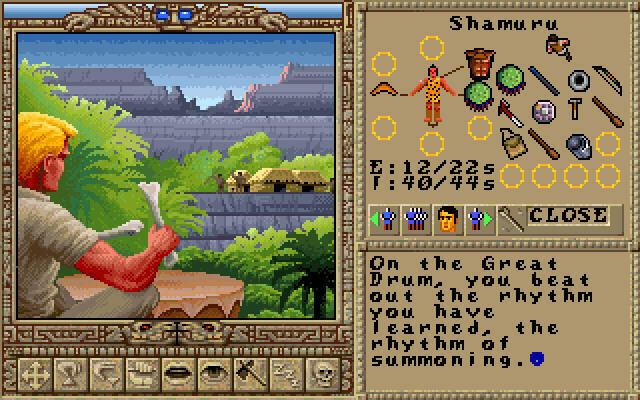 Worlds of Ultima was a short-lived spin-off of the Ultima franchise, developed as both a means to get more mileage out of the Ultima 6 engine (which was very expensive for Origin to develop) and to provide further storytelling opportunities by having the Avatar explore other worlds besides Britannia. Both games were worked on by Warren Spector, who previously contributed to Ultima 6 and Wing Commander and would go on to create several other highly acclaimed games in his own right, including Ultima Underworld, Deus Ex and the Thief series. The plot outlines the exploits of the Avatar and his friends Jimmy Malone and Dr. Rafkin as an experiment on the Orb of the Moons goes awry, transporting them to the prehistoric valley of Eodon. Said valley is inhabited by many tribes of indigenous people from throughout Earth's history, as well as a race of giant mutated ants called the Myrmidex. It then falls to the Avatar to discover the secrets of Eodon and unite the tribes against a common foe. While the game isn't as large in scope as Ultima 6, it does still provide some challenge and clever story elements throughout. It also utilizes numerous still frames during key story events, giving it a slightly more cinematic feel. Only one other port of the game exists, namely a release on the Super Famicom. 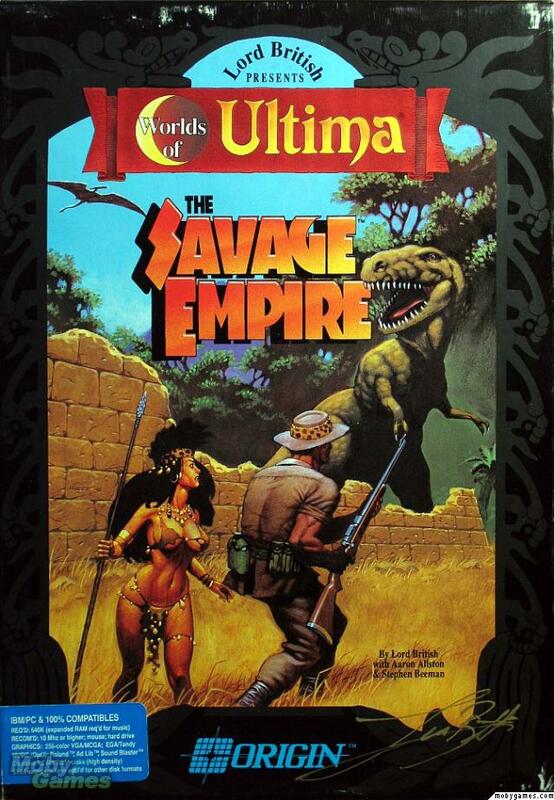 Like the SFC port of Ultima VII, the Savage Empire port is a strange case. The game was only released in Japan in 1995 - five years after the PC version. 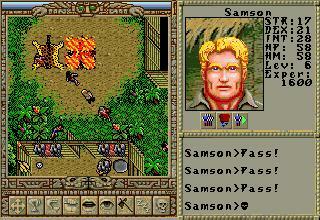 The gameplay utilizes the same engine as the SNES version of Ultima VII, resulting in the game playing more like a Zelda-styled adventure game than a traditional Ultima. This also means there is no party system, the cutscenes and intro have been removed, and the game world has been scaled down considerably. Savage Empire is available for free on GOG, complete with scans of the original manuals in PDF format.